Brazilian’s are well known for developing their incredible creativity and flair through countless hours of street soccer games organized by the players themselves and far away from the structure and influence of teams, leagues and coaches. 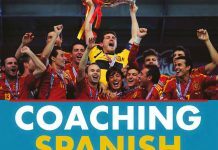 The goal of the Brazilian Soccer Academy – Combo is to demonstrate how the Brazilian training methods can create great results by following an educational curriculum including specific and adapted sessions focusing on the Competitive phase of development. 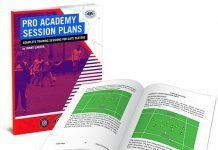 This curriculum will show, in detail, how the top Brazilian Youth Academies develop the U13 to U18 age group training with a strong influence from Futsal (5v5), educational small-sided games and 11 v 11 game conditions focusing on the 4-4-2 formation with a diamond midfield as well as defensive and offensive variations. 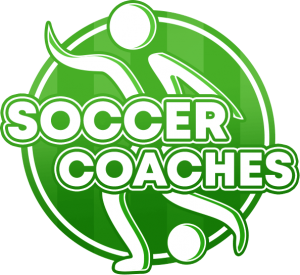 Brazilian Soccer Academy – Combo, which includes Volume I and II, is organized so that you can see what a Brazilian team does for each of their weekly training sessions. 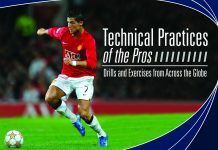 This insight allows you to not only see which drills and exercises are used but how they are placed within an overall cycle of training. 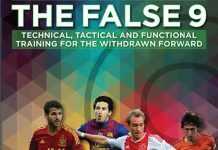 More than 100 easy-to-read diagrams illustrate each session along with detailed explanations of the set-up, player movements and important coaching points.